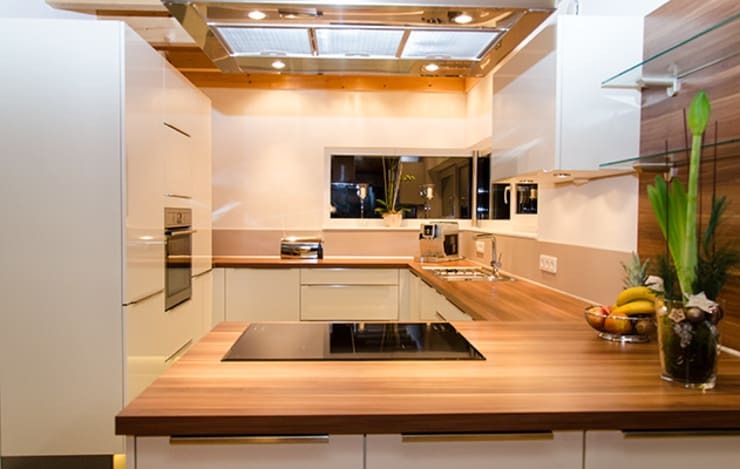 If you're planning a small kitchen, you've come to the right place! Here at homify we know that our readers love us to show, not tell. 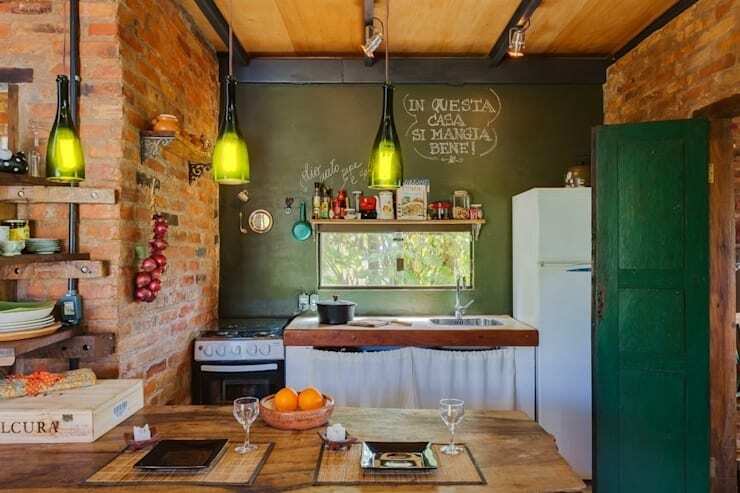 So we have created a picture collection of 40 small kitchen interiors to get you inspired. 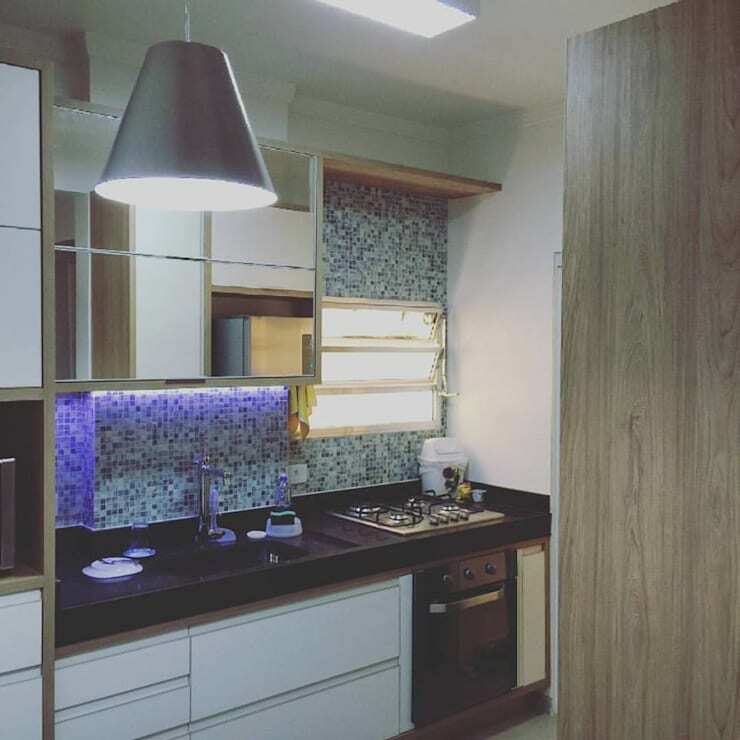 Each of them has a little something to tell us about planning a small kitchen design. But first up we'll give you a quick guide on themes to watch out for. 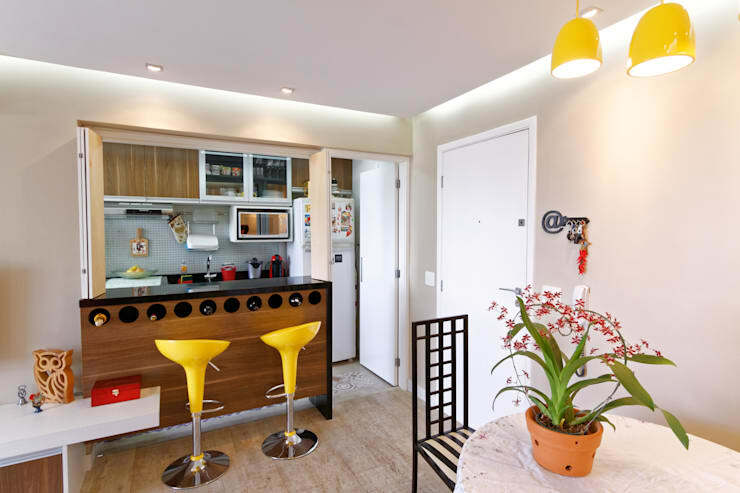 Corners are really utilised in many of these interiors. Obviously, space is an issue and the corners are traditionally the most underused spaces in any room. 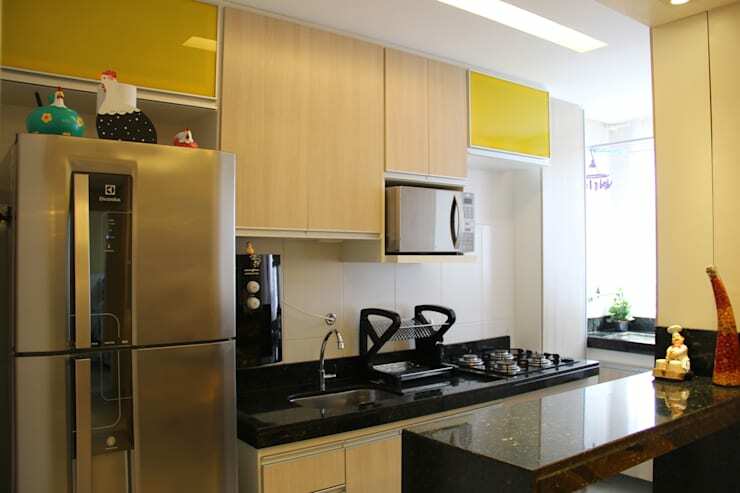 As any kitchen planner knows, wall space is another prime piece of real estate in the kitchen. So cupboards and shelves have been built up right up to the ceiling, decorated and used to the max. Then we have colour schemes. White is obviously most common, but small splashes of bright colour are really popular because they add a sense of vibrancy and freshness. Strong contrasts are often evident. 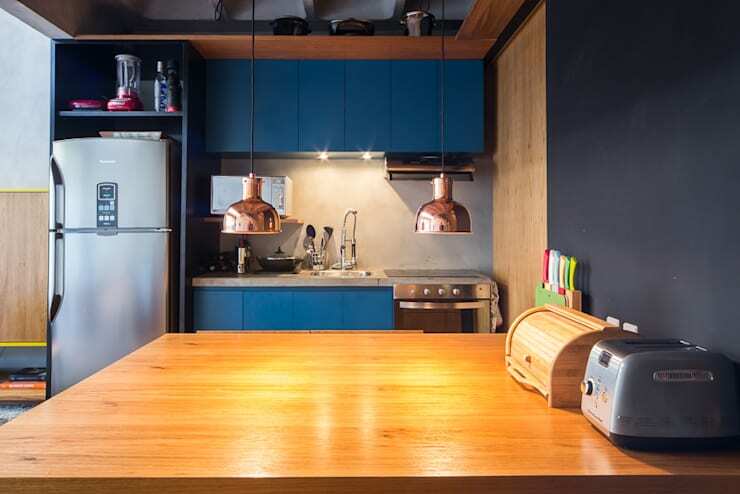 A small kitchen runs the danger of feeling pokey and claustrophobic, particularly when you only have one general overhead light that doesn't reach all the little nooks and crannies in a small room. 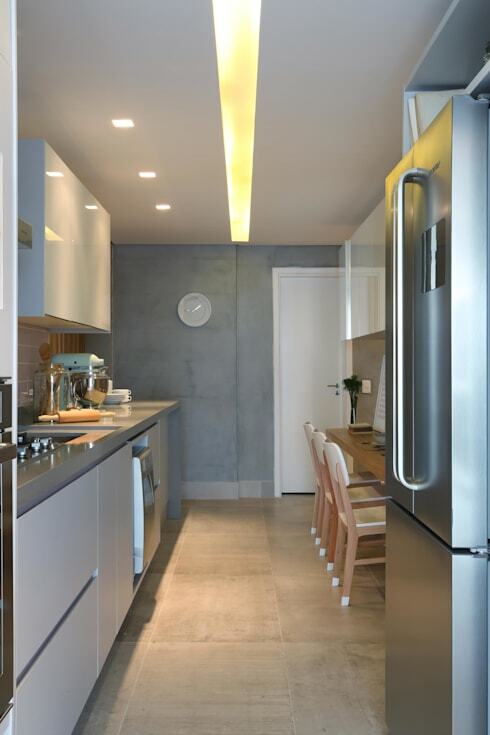 So layered lighting schemes are a must; these are seen in under-cabinet lights, panel lights and shelf lights. Flexible solutions are a key tool. 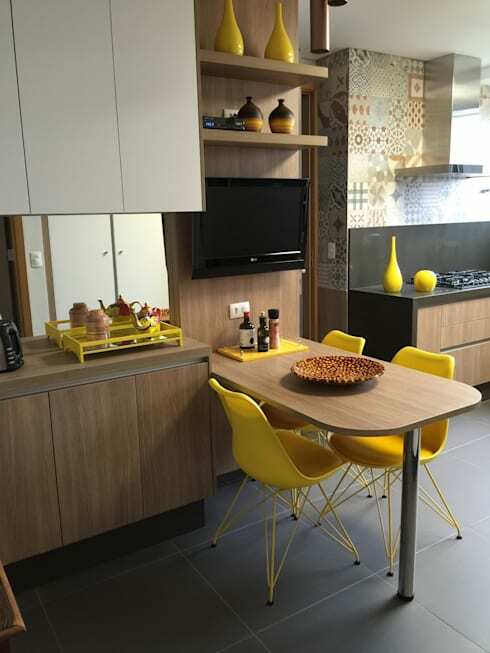 This means fold-out tables, kitchen trolleys and dining tables are often set up to offer extra benchtop space when needed. Bar stools are designed so they can slip under benches or even be folded up and stowed away when not in use. 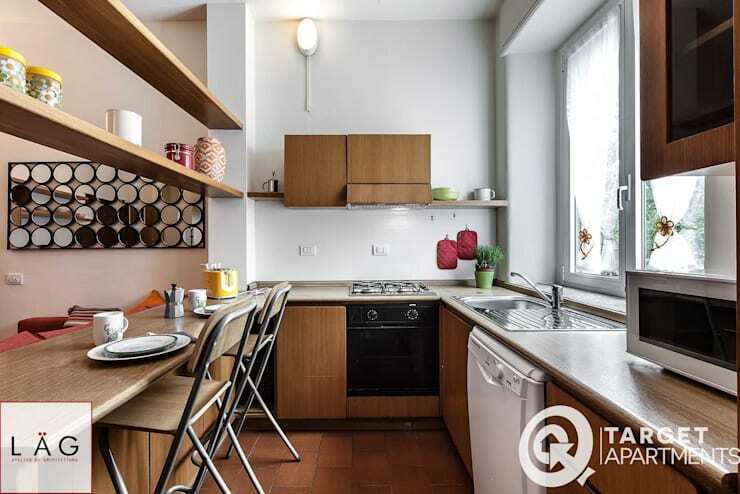 But the most important element you'll find in these kitchens is a sense of life, ease and energy. 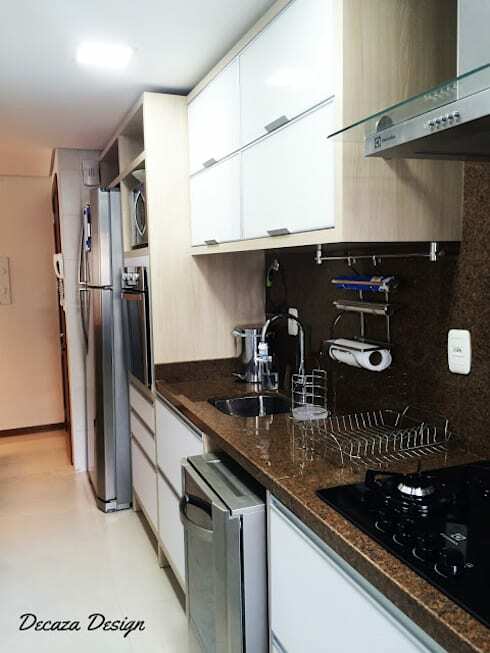 A good kitchen, no matter how small, is the beating heart of the home. It is not just a place to prepare meals, it is the place where you organise meals that will nourish your body and spirit. In short, it deserves the utmost attention when it comes to planning! 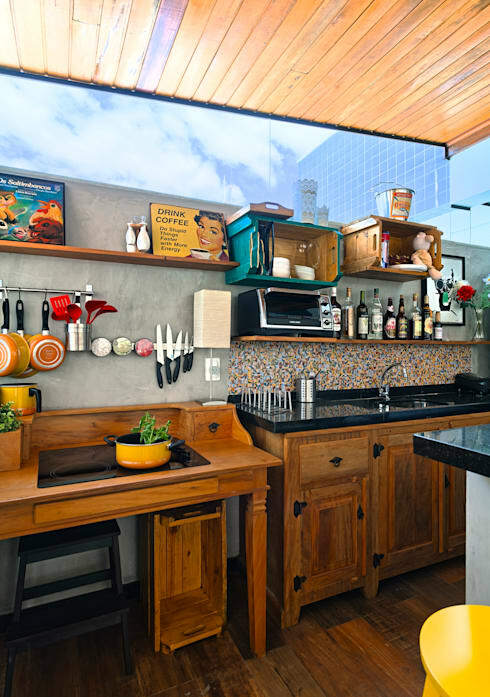 So let's check out 40 ideas to get you planning the perfect little kitchen. 1. 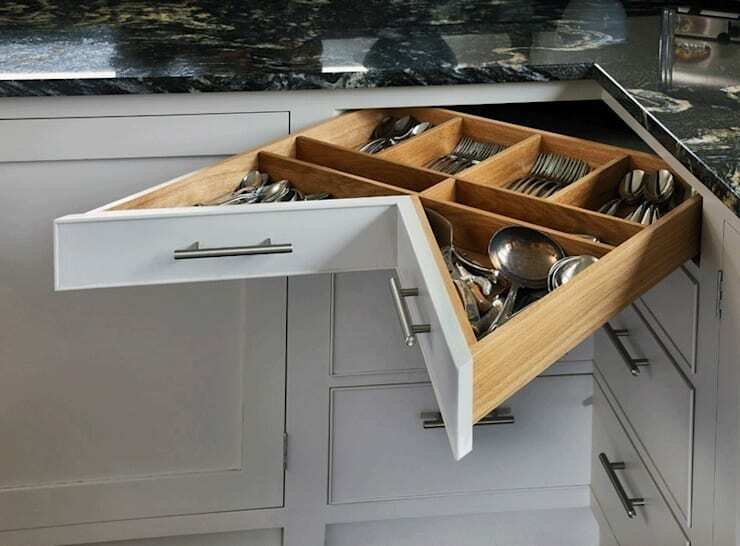 Drawers are a clever and unique way to take full advantage of a corner space. 2. 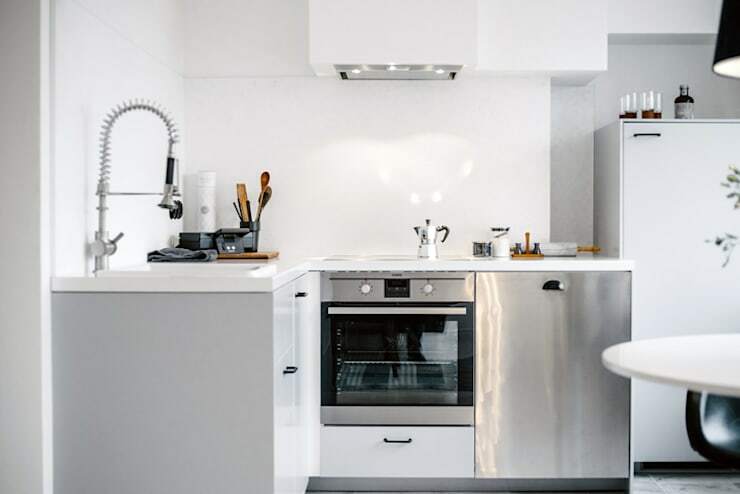 White finishes will give you a feeling of spaciousness and chrome will reflect the light. 3. Modern shelves in a brilliant colour will create a fresh atmosphere and add instant decorative appeal. 4. Cabinets all the way to the ceiling will give you lots of storage space. 5. Don't be afraid to custom fit bench space. This bench could be a preparation area and a dining space too. 6. 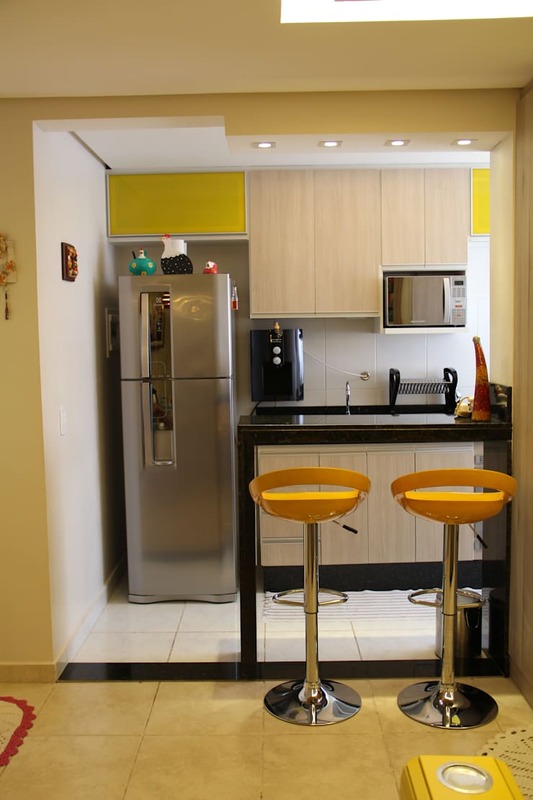 Suspend the microwave on the wall to free-up precious bench space. 7. 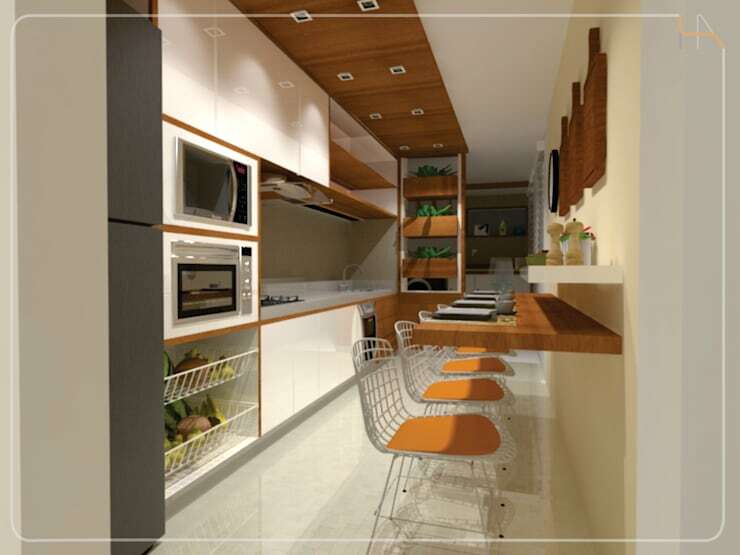 Integrate the living and dining decor for a cohesive look. 8. 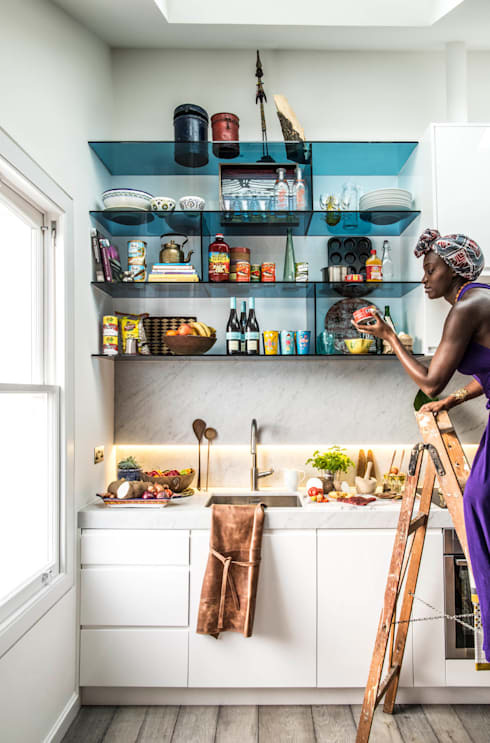 Go for a clean and functional look with a combination of open and closed shelves. 9. 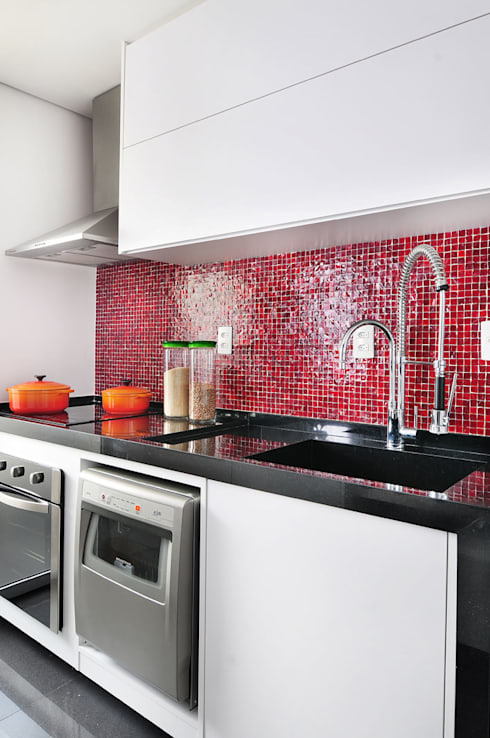 The backsplash is the place to experiment with colours and inject some character into the kitchen. 10. Use under cabinet lights to create a fresh and airy feel. 11. 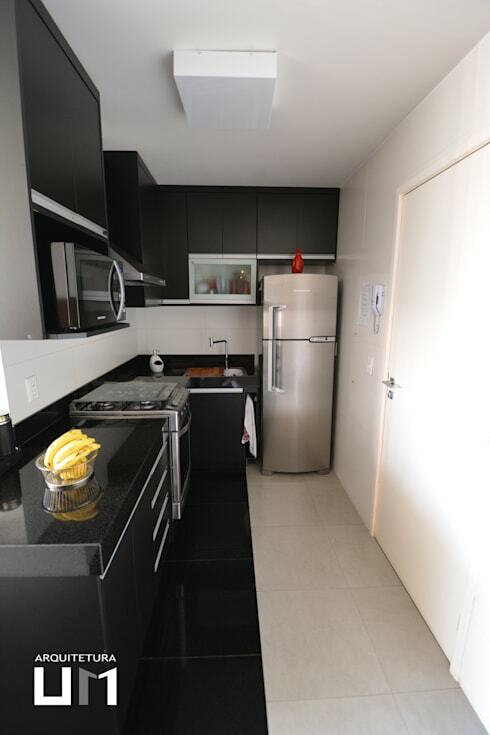 A black and white colour palette will give the kitchen a classic and striking look. 12. 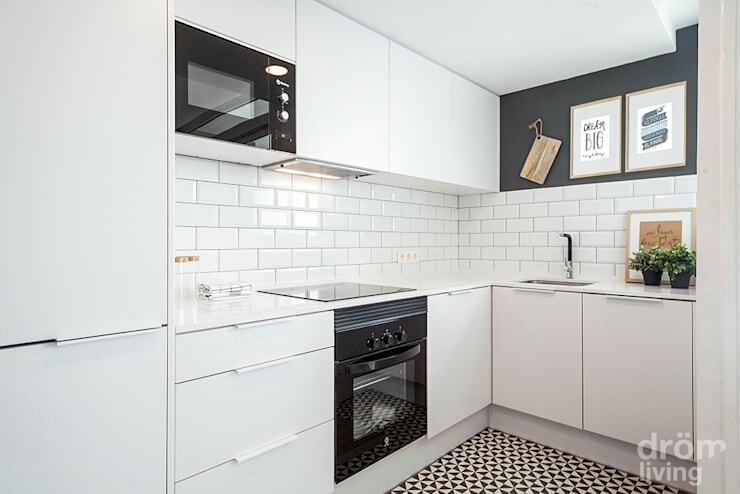 Wall ovens will save bench space and help you avoid the strain of bending over a hot stove. 13. 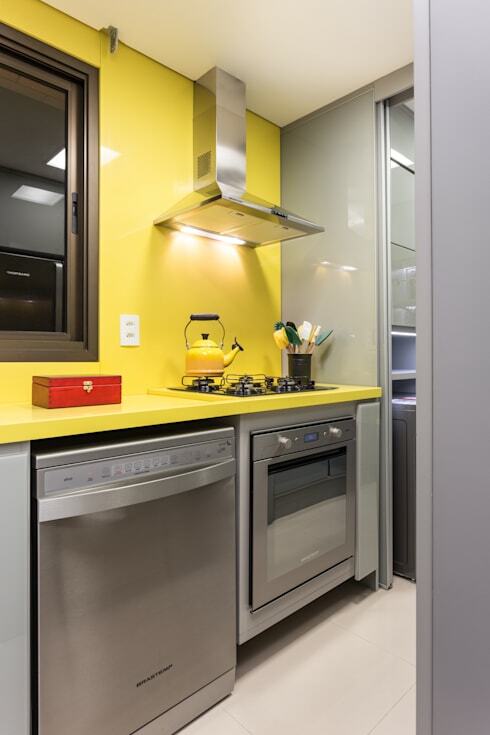 Consider running the countertop material all the way to the ceiling and injecting a burst of colour like this! 14. 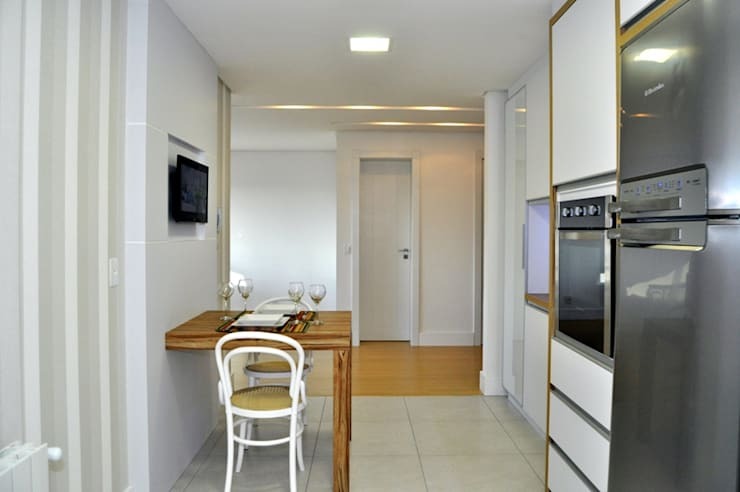 Create a modern elegant feel with a combination of wood and white finishes. 15. 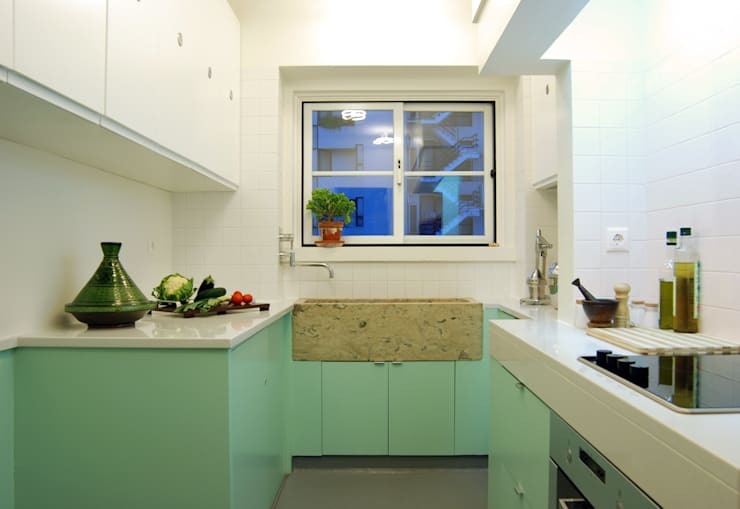 Design the bench space facing outwards to make your little kitchen feel naturally sociable. 16. 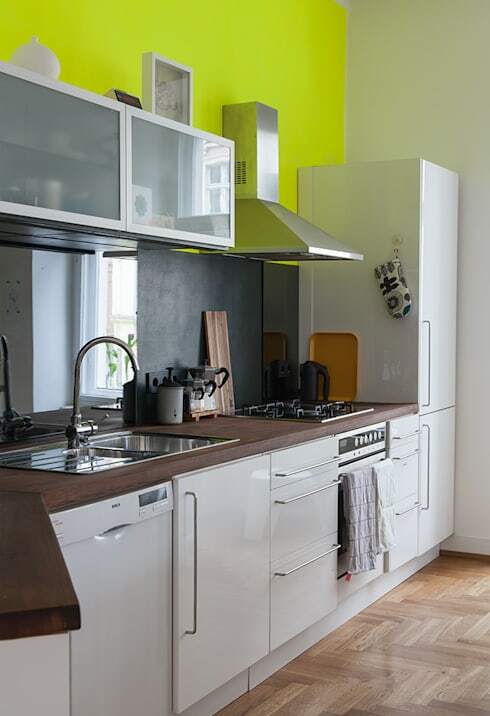 Consider using two tones for the cabinets. Check out a massive kitchen sink too. 17. 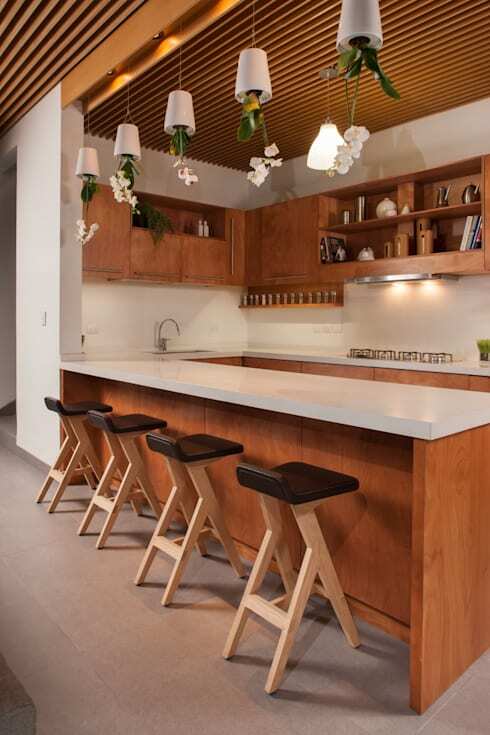 Pendant lights define this kitchen island as a separate eating zone. 18. 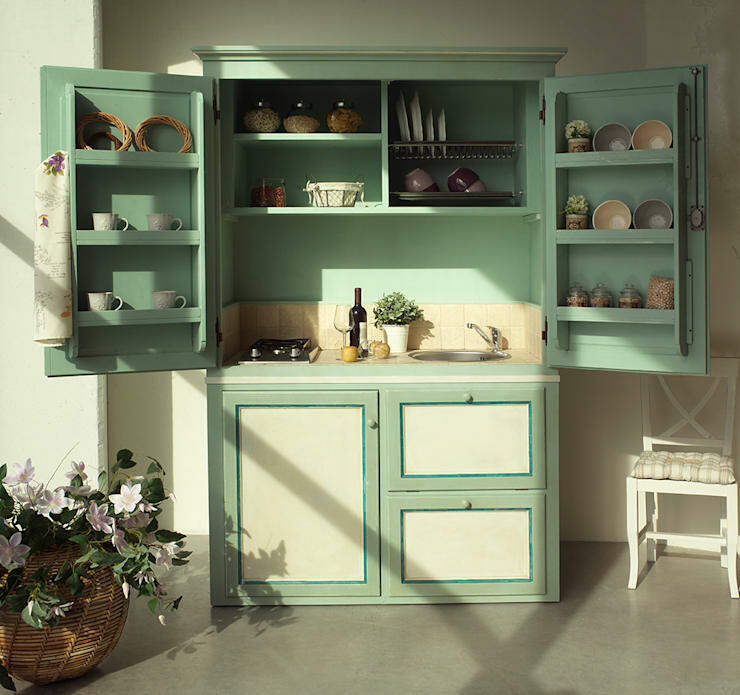 Mix and match your upper cabinets for a dynamic look. 19. Use the back of the doors for shallow storage space. It's perfect for spices too. 20. 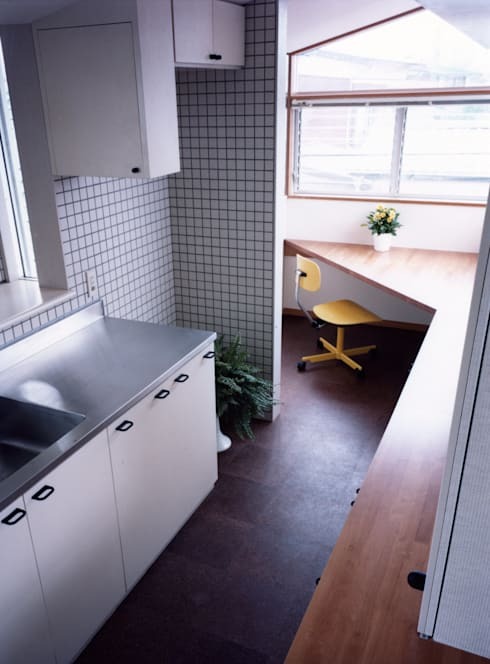 Kitchen planners say that lack of bench space is the most common complaint they hear. So add a pop-out bench if possible. 21. Little patches of bare wall can be used to get daring with your colour. It can be easily and cheaply changed if it's a disaster too! 22. 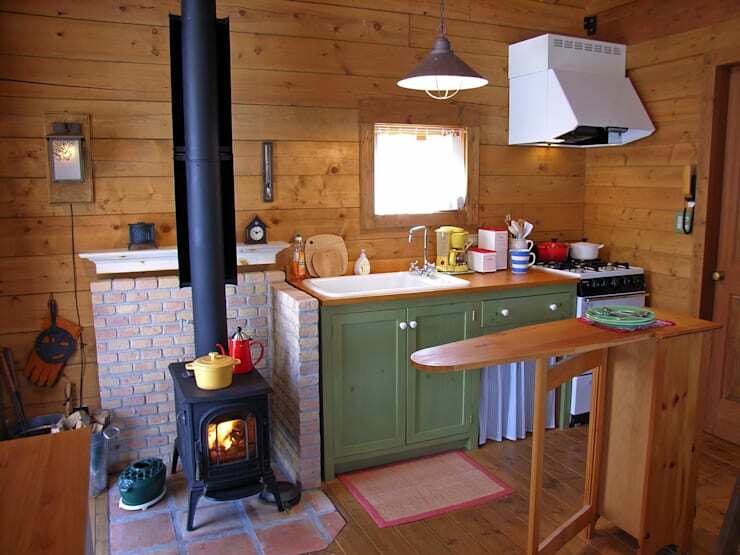 Consider, then consider again the warm and cosy benefits of wood. 23. 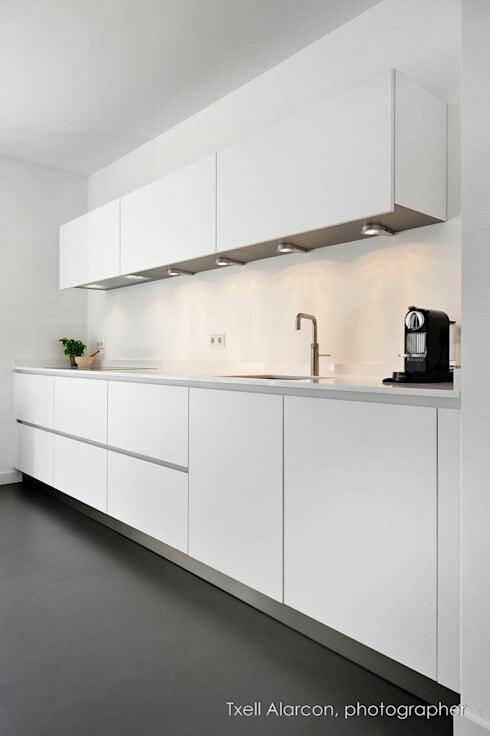 Handleless cupboard doors will give the kitchen a clean and minimalist look. 24. Don't be afraid to add personality with your favourite colours and decorations. 25. 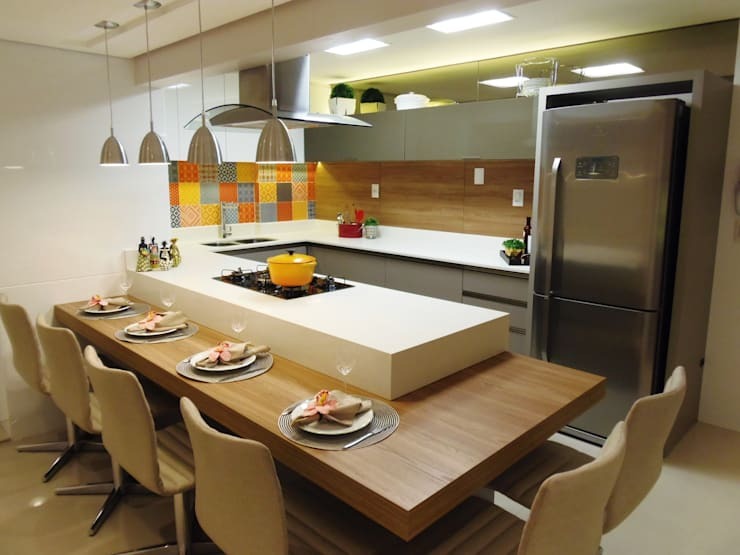 Push the dining table right up against the bench to create an integrated look. 26. Black can add dramatic impact. Just use it sparingly and use a gloss finish to reflect the ambient light. 27. Add dedicated (and space saving) storage for wine and awkward shaped items. 28. Use the space above the fridge for storage. 29. Consider an electric hotplate that will double as preparation space too. 30. Add general illumination and dedicated task lights in key areas. 31. 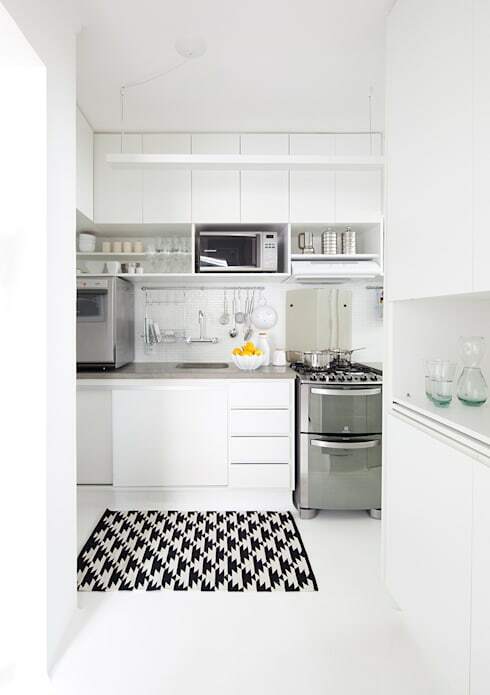 Combine modern patterns and fresh colour schemes. 32. 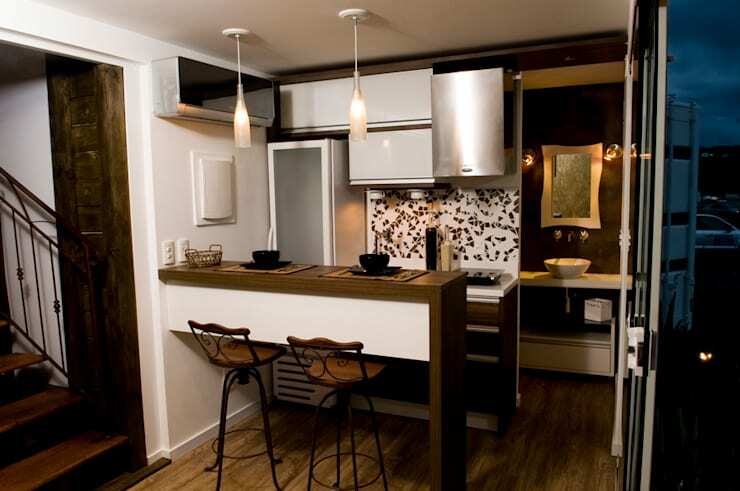 Neutral colours and earthy elements will create a rustic atmosphere. 33. 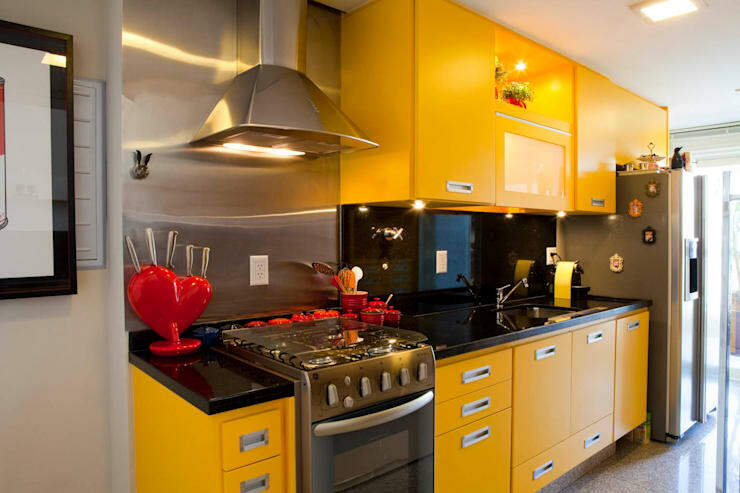 Try unconventional combinations of shapes for your cabinetry. 34. A bench-style eating area will be a valuable addition. 35. Keep your walkway as clear as possible and minimise distractions. 36. 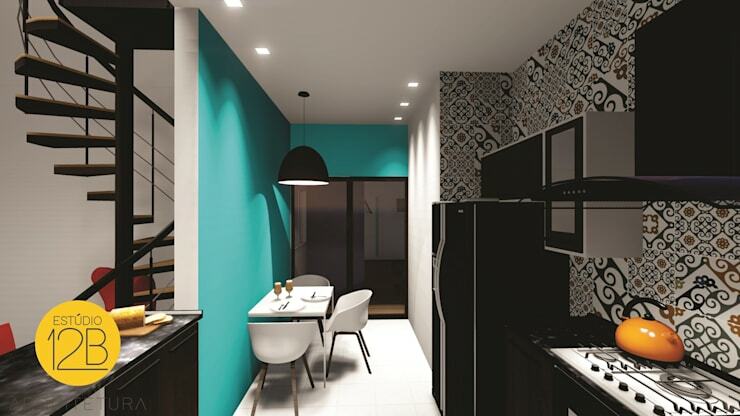 Repeat colour combinations throughout the space to create a sense of continuity. 37. Consider a blackboard on the wall. 38. 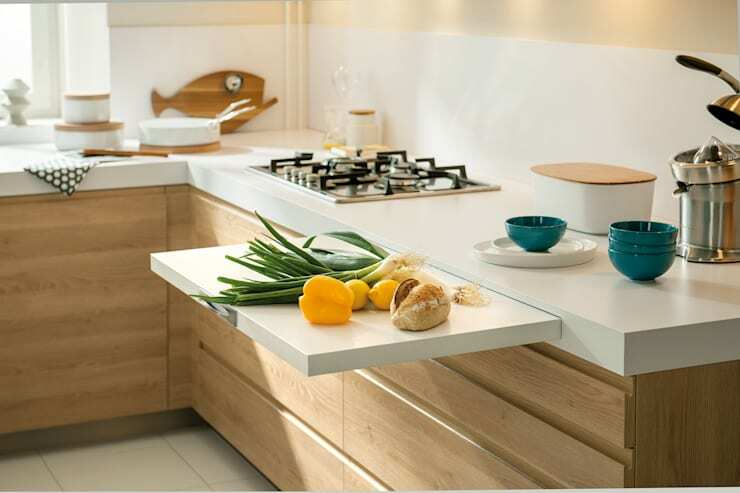 Make sure bench-style seating slips neatly under the benchtop to free up traffic zones. 39. A high panel window will free up the most accessible wall space and give you lots of private illumination. 40. 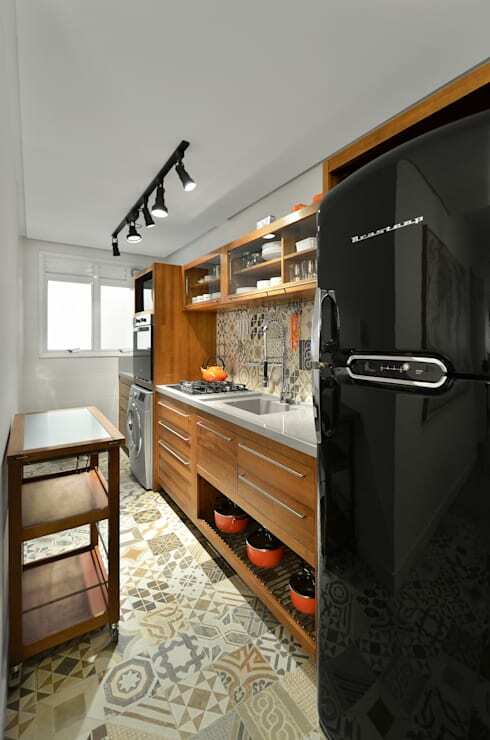 The fridge will take up a lot of visual space in a small kitchen, so choose something with retro style. For more small home inspiration, check out 8 colour ideas for your small bathroom. 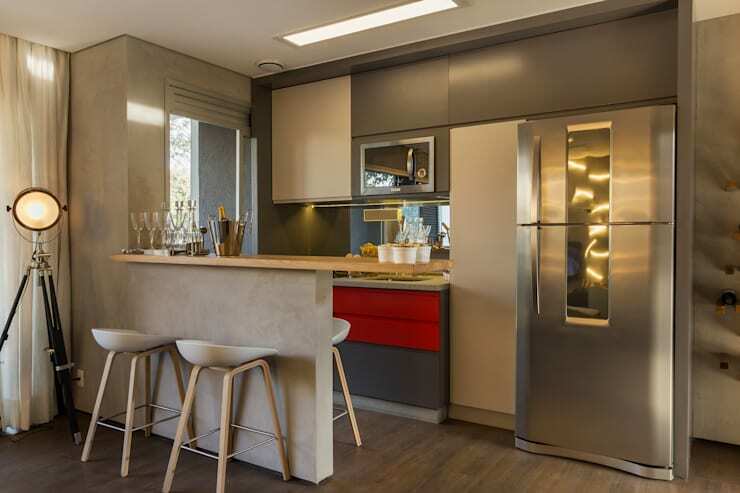 Which of these kitchen features was your favourite?